Lower Cape May’s Cecilie Reeb No. 19, left, battles against Middle Township’s Veronica Johnson No. 1, right during the first half of high school girls lacrosse game at Lower Cape May High School on Monday April 15. 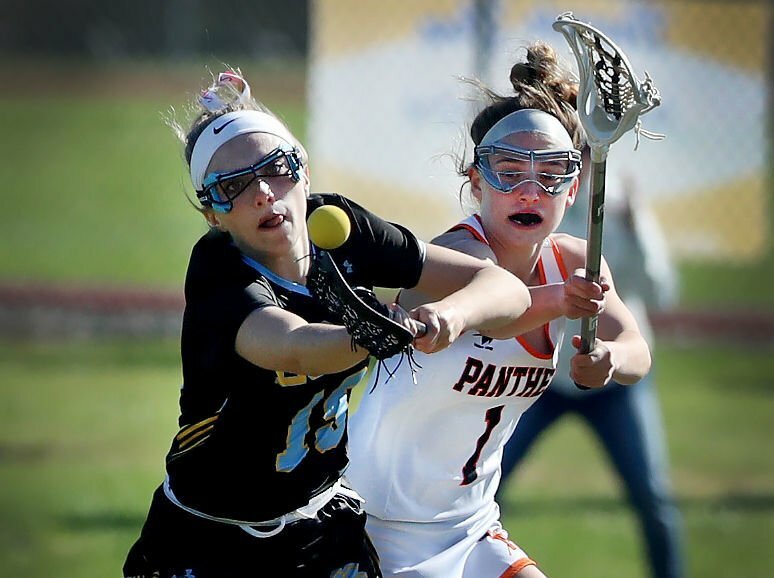 LOWER TOWNSHIP — The Middle Township High School girls lacrosse team was in a fowl mood Monday.